Are you good at the Madden NFL series of games from EA Sports? Like, really, really good? Better question: do you want to prove it? GameStop and Virgin Gaming are teaming to bring you the “Battle of the Gridiron” online tournament. It’s part of a deal the two companies signed earlier this year for this exact purpose. Under the terms of the deal, those who certain games purchased at GameStop are then eligible to register with Virgin for participation in an online tournament. 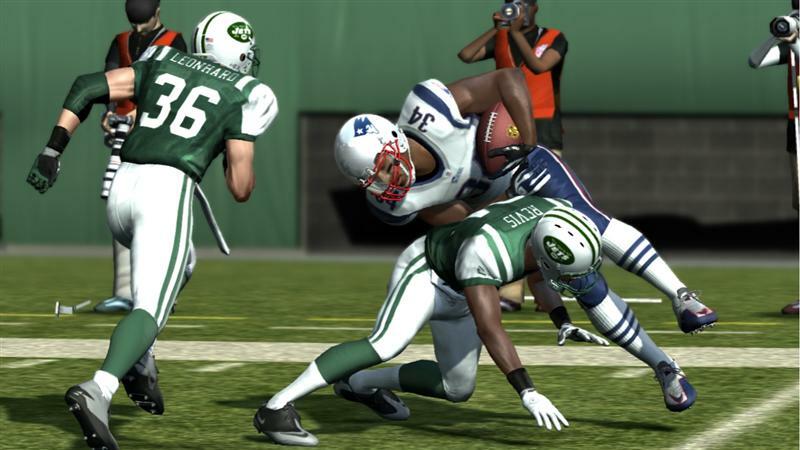 Madden NFL 12 will be the first game to be given a tournament under this deal. All who pre-order or purchases the game GameStop will be able to register between August 30 and September 18 if they want to compete. The actual tournament starts on September 11, and it will run through October 16. The top prize, going to four winners, includes a trip to Los Angeles and a $5,000 entry into the EA Sports Madden NFL 12 Challenge Series final. There, they’ll have the opportunity to grab a share of the million dollars in prizes. The four runners-up also get to go to L.A. for the finals, but they won’t compete. Virgin Gaming puts a community-bridging spin on competitive online gaming, sprinkling in the chance of earning cash and prizes as incentive. You can challenge friends, other members of similar skill levels and enter tournaments. Basically, it’s gambling. But it’s not, because that would be illegal (or perhaps just “questionably legal”). It is though, essentially. Let’s be honest with ourselves here.